Intro from Jay Allison: When we first featured Jonathan Katz's audio work, he was making funny little pieces in his attic studio. Then, we helped him produce a fake call-in show. Now, we've produced a radio hour from Jonathan's stand-up performance. In 1981, when there were not so many jokes, I began my career as a professional comedian. At the peak of my career, I was diagnosed with multiple sclerosis. I continued doing comedy but it was hard to find the right place to share the odd convergence of comedy and a chronic illness. Last year I finally found a “safe” place to perform. It was Jimmy Tingle’s Off-Broadway theater in Somerville, Massachusetts. Miles Smith recorded the performance for Jay Allison and Transom.org. Joining me there were two good friends, Tom Snyder, and Bill Braudis. Jonathan Katz, an author, producer, actor, comedian and musician, is one of the entertainment industry's most original and versatile creative personalities. He co-created and starred in the hit pop culture animated series "Dr. Katz: Professional Therapist," which aired on Comedy Central for six seasons, a show that has been credited with branding that network as the home for sophisticated, smartly stupid humor. For his work on the series Katz received Comedy Central's first-ever Emmy Award (for Outstanding Primetime Voiceover Performance), the prestigious Peabody Award for Excellence in Broadcasting, and two Cable Ace Awards. As an actor, Jonathan has been praised for his roles in such recent movies as "Daddy Day Care" with Eddie Murphy ("excruciatingly funny") as well as in the David Mamet films "State and Main," "Things Change" and "The Spanish Prisoner," and opposite Janeane Garofalo in the 2002 release "The Independent." He also co-wrote the story for Mamet's critically acclaimed "House of Games." For the past several years, he has focused on creating innovative programming across different media platforms. He created and produced "Raising Dad" for the WB, and more recently a television pilot, "Say Uncle" starring Lisa Kudrow and Katz, for Disney and Fox. Jonathan is a regular contributor to public radio's "The Next Big Thing" and can be heard on the web at transom.org. His additional television credits include his own HBO special, a recurring role on CBS' "Ink," and an appearance as himself in the last season of HBO's "The Larry Sanders Show." Katz has made numerous guest appearances on "The Late Show with David Letterman," "The Tonight Show," "Late Night with Conan O'Brien" and "Politically Incorrect with Bill Maher," for which he also served as creative consultant. Jonathan's first book To Do Lists of the Dead was published in 2000 by Andrews McMeel, and he is currently working on his new book, tentatively titled Humility: What Is It and Where Can I Get Some? Originally a musician and songwriter, Katz fronted a rhythm and blues group called "Katz and Jammers" before serving as the musical director for Robin Williams' 1979 stand-up tour. In 1981 he started working solo, doing a cabaret act that was mostly musical, and in between songs he began to lay the groundwork for his stand-up act. A native New Yorker, Jonathan moved to Boston twenty years ago and currently resides in Newton, Massachusetts with his wife and two daughters. In 1997 Jonathan was diagnosed with MS. A few weeks later he found out what those two letters represent (multiple sclerosis). For the last few years he has talked publicly about how this illness has impacted his life, and finds sharing his situation with others very enriching. "Life goes on with the disease. I use comedy to cope. In fact I teach a course called ‘Coping with Comedians who use Comedy to Cope.'" Transom wants talented people to try public radio. 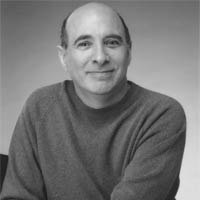 When we first featured Jonathan Katz’s audio work, he was making funny little pieces in his attic studio. Then, we helped him produce a fake call-in show , with his friends–David Cross, Sarah Silverman, Al Franken, David Mamet, et. al.–playing the callers. Now, we’ve produced a radio hour from Jonathan’s stand-up performance at Jimmy Tingle’s Off-Broadway Theatre in Cambridge, Massachusetts. It features Tom Snyder, Bill Braudis, Tom Leopold, H. Jon Benjamin and others. It also features lots of jokes about Multiple Sclerosis, a disease which Jonathan has had for many years. Don’t worry, it’s funny… funny enough that you didn’t have to be there. Judge for yourself. NOTE: This hour-long special is available to stations on the Public Radio Exchange. Thanks for sharing this very funny piece with all of us. There are so many great parts. I thought the ones dealing with MS were particularly strong. I felt myself leaning in and wanting to hear more about how this experience impacts all the aspects of your life. I guess Im thinking more along the lines of Julia Sweeneys God Said Ha! Would you consider doing a one-man show on this topic? I enjoyed this piece a lot, it was touching and funny, and something about the performance gave it a more intimate feel than you find on, say, a comedy album. I am curious about (and impressed by) Mr. Katz’s versatility, and wondering about the subtle shifts you do or don’t consider in the processes of writing, performance, tone, etc., when using your voice (and "voice") for radio, cartoons, television voice-over, live performance, etc. Is that something you consciously think about, and if so what are the tricks? What I particularly enjoyed about this piece were the meta" aspects. Jonathan as both host and subject, him doing standup about doing standup, and all the fun surprises of classic premises ( like working the room) taken in different directions. I also really liked the hybrid qualitynot quite stand up and not quite a one person monologue type of show but something in the middleI usually yearn for the more emotional monologue format but I found 75 Laughs surprisingly satisfying (and very funny). Could you talk a little bit about what you were after in terms of format? Also, as Michelle said, there was something very intimate about this performance and Im curious to hear what you think were the factors that contributed to that–especially since, as a radio piece, the listener was one step removed from the performance.